It’s no secret that our kids spend far less time outdoors than we do. Glued to their digital devices, most kids are more than happy to spend their entire winter vacation in front of a screen. Although the last thing you want to do is fight with your kids over their excessive screen time, research shows that this battle is worth waging. Numerous studies have found that outdoor playtime is critical for a child’s cognitive skills and physical development. Snowball fights can be a little dangerous. Why not try snowball pitching instead? All this fun game requires is snow and nine plastic cups. Make a tower out of the plastic cups by stacking them on top of one another. Have the kids stand a good distance from the cups and see how many they can knock down with a single pitch. If your kids play baseball, give them a challenge by making them stand farther back. Do your kids love to fish in the summer? Consider taking them ice fishing for a fun, winter hobby that will teach them patience and how to appreciate nature. They will love heading out onto the ice and reeling in a big fish. Just remember to bring snacks and dress appropriately for the cold! No ice? No problem! Depending on where you live, there are plenty of year-round fishing opportunities and angling adventures to be had. Check your state’s website to see what’s available in your area. 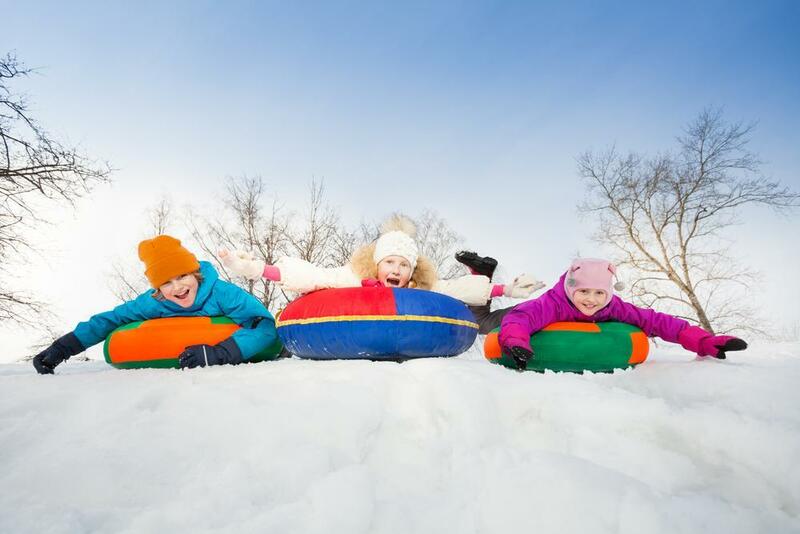 If your kids aren’t interested in skiing or snowboarding, why not try snow tubing instead? The whole family will love sliding down the hills at your local snow tube park. After a long day of snow tubing, the entire family will enjoy relaxing with a hot cocoa at the lodge. Best of all, the kids will be so exhausted from their thrilling day of snow tubing that they’ll be sure to sleep well that night. Some older kids (ages 11 to 17) can be difficult to drag away from their computer screens and smartphones. Your typical outdoor winter activities might not get them too excited. The solution? Introduce them to something unique and fun, such as sporting clays. Sporting clay shooting offers a unique challenge which mimics bird hunting. The best part is that sporting clay shooting is a year-round recreational activity. What’s more thrilling than ziplining through trees? Ziplining across a beautiful, winter landscape, of course. While you don’t need snow to go ziplining in the winter, the picturesque scenery greatly enhances the experience. Be sure to bundle up warmly. The air zipping past your face will be cold! If you’re an adventurous family, this activity is a must-try. However, winter ziplining is probably best suited for the older kids who can handle low temperatures. Winter hiking is another activity that you can do with or without snow. Of course, the snow makes it more tiring, so keep that in mind when you take the little ones with you. 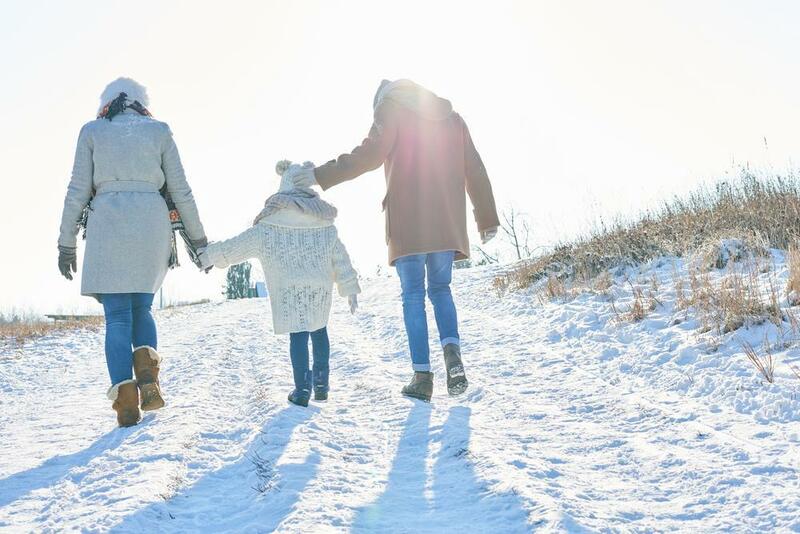 Going on a winter hike with the kids is a beautiful and relaxing way to experience the outdoors as a family. The only downside is that it does take some preparation to keep everyone safe. This includes knowing the trails, how to gear up properly and how to set your kids up for a great winter hiking experience. If you’ve never heard of snow golf, it’s exactly what it sounds like. Avid golfers and outdoor enthusiasts will brave the cold and play golf over the ice and snow. Although few places offer true snow golf, this cold-weather sport is gaining popularity across the globe. For instance, Switzerland hosts an annual snow golf tournament in the snow-covered Maloja Region which puts players to the test. For families who love golf, this activity is worth trying. Although few places offer true snow golf, you can still get the family out onto the green for a few swings. Horseback riding is an exciting way to get outdoors and experience the winter landscape. Sitting atop a horse, your family will enjoy feeling the crisp air and taking in the beautiful outdoors. If the idea of your little ones riding horses scares you, consider booking a fun sleigh ride for the family instead. Want to make it a truly unique experience? Take a winter sleigh ride through an elk herd for an outing that your kids will never forget. Yoga has become so popular that it’s not uncommon to see people doing yoga on standup paddleboards and practicing it with dogs (aka Doga). It was only a matter of time before yoga in the snow became a thing. Known as “snowga,” this family-friendly practice encourages people to break away from their indoor yoga mats and do yoga stretches in freezing temperatures. Yoga can provide powerful benefits for kids such as boosting their confidence and improving their physical abilities. 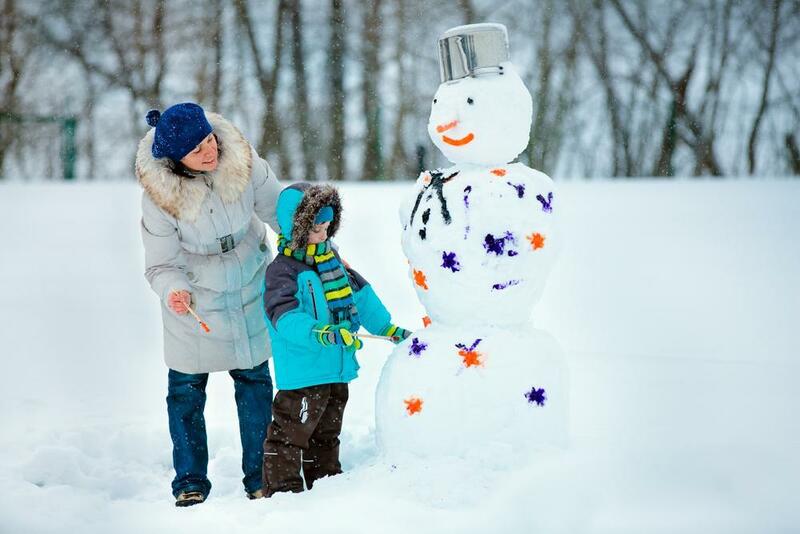 By getting the whole family involved in this unique activity, you can encourage them to be healthy all winter-long. The little ones will delight in this next activity. Snow painting is a great way to get the kids outdoors and exercise their creative abilities. It’s also easy to get started. Simply mix up a solution of water and food coloring inside a few spray bottles. Give them to the kids and let them spray different colors onto the snow. Don’t forget to take pictures of their creations! Getting kids to play outdoors during winter vacation takes far more effort than the summer. It can be challenging to motivate not only the kids to get outside, but also yourself. But finding unique ways to experience the outdoors with the family is key to achieving a healthy balance between digital devices and outdoor playtime. 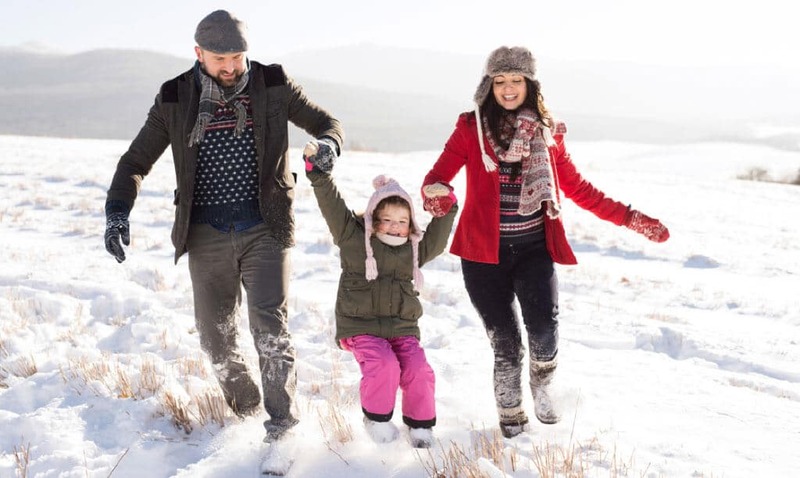 By making the effort to stay active and engaged during the winter, you can put the entire family on the path to a healthier, happier lifestyle.